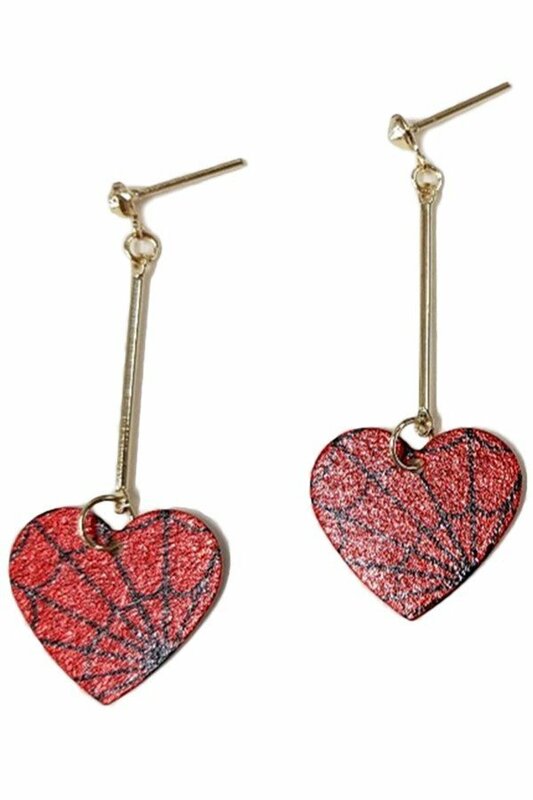 Description: Thin bar earrings with a spiderweb print heart. Post back. Approx. length 1.75".